Hello! My name is Carolyn and I’ve been a LMT for 10 years. I’m also a certified Bikram Yoga instructor currently living in New Orleans, LA. Massage: I specialize in Deep Tissue, Trigger Point release, Ashiatsu and Swedish massage. My style is hands-on and kinesthetic, and I am great with injuries/chronic issues and physical therapy clients. I live and work in a music town which has given me a lot of experience working with full time musicians needing therapeutic massage. I’m available for in-calls or out-calls. Yoga: I have been practicing and teaching yoga for over 10 years. I currently have access to a Bikram studio in NOLA and I’m available for off hours private hot yoga classes. I love what I do and my passion in life is to help other people with exceptional therapeutic massage and yoga therapy. I have been told by my clients that I’m down to earth and have a calming demeanor. 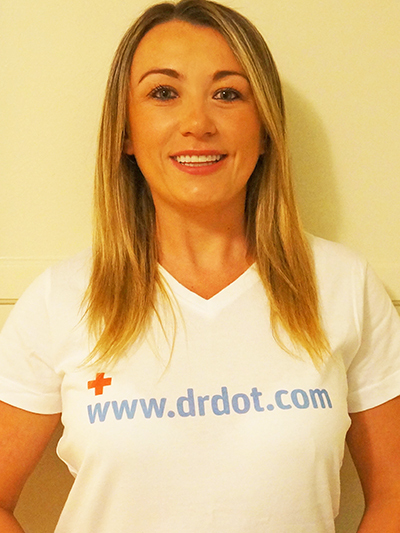 I’m thrilled to be working on Dr. Dot’s team. Looking forward to working with you! Aloha! My name is Leia (like “Princess Leia” from Star Wars). I used to be your favorite Los Angeles DotBot, but now reside in the Live Music Capitol of the World, Austin. I have been with Dr. Dot since June 2010 and I positively love this job! 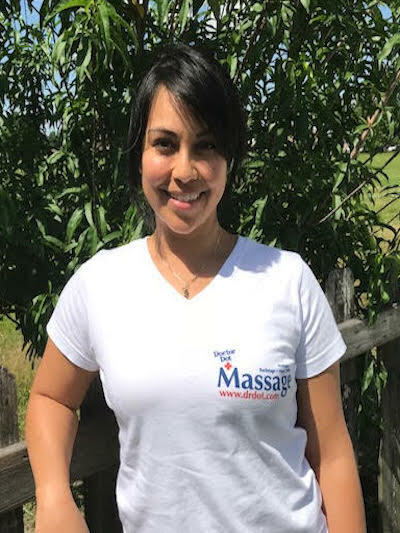 I fell in love with massage therapy at the tender age of 15, when I volunteered to massage for the IronMan World Triathlon in Kailua-Kona, Hawaii. After 6 hours of massaging tri-athletes from around the world, I got a crash course in what it takes. It was a very gratifying experience. 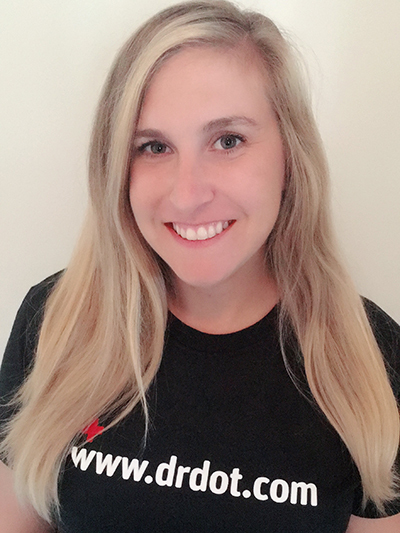 I am trained in Swedish, Deep Tissue, Myofascial Release, Sports, and Pregnancy massage modalities. I work closely along chiropractors, professional athletes, and rehab patients on a daily basis. I am strong and have a passion to heal. Originally from Hawaii, I bring the Aloha Spirit and pass it on to you. Active as an International Pin-Up Model & Burlesque Performer, Leia is the sister of a professional heavy metal drummer, the sister of a professional hula dancer and beauty queen, and the daughter of a rockin’ helicopter pilot sprung from the Vietnam War. I, myself, have a Bachelor’s Degree in Theatre and have been singing since the age of 10. Bridget is a doctor of physical therapy who has worked in various facilities across Los Angeles for the past five years. She has substantial experience working in the outpatient orthopedic setting and home health care setting. 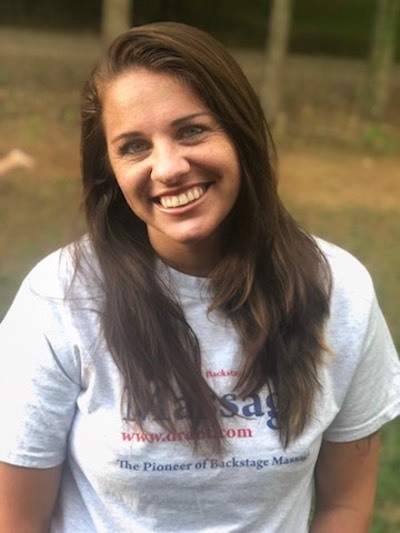 She has worked with a wide variety of patients ranging from adolescent to professional athletes, celebrities, and your typical weekend warrior. She believes in using evidence –based treatment plans that incorporate manual therapy and therapeutic exercises and activities to meet her patients’ goals. Bridget has completed several continuing education courses focusing on her manual skills and techniques. Bridget’s true passion in life is helping others. 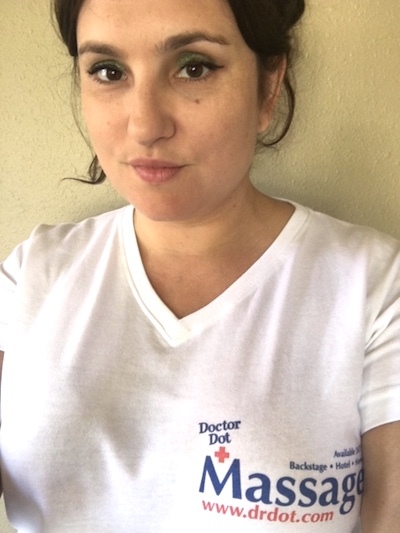 She believes the key to successful healing with patients is creating a trusting relationship. She especially enjoys the satisfaction received from helping others attain their goals and enabling them to return to their optimal function levels. Hi my name is Sarah and I’m a Southern California native. 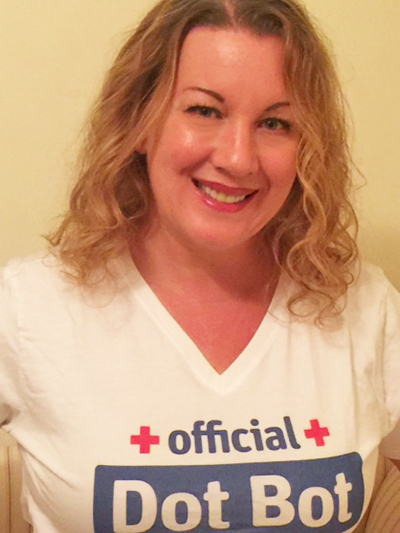 My passion is to help individuals heal from injuries or to relax from a long stressful day. 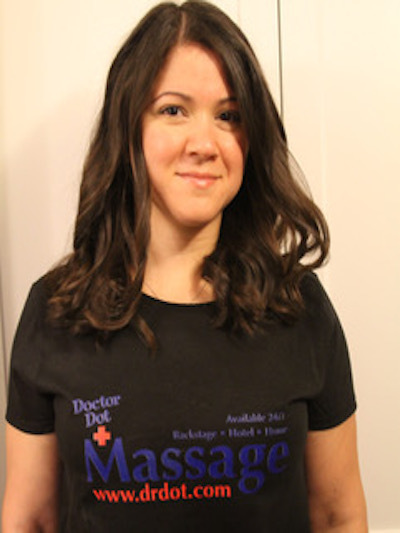 I have years of massage experience and will customize my massages to assist in the client needs. I specialize in deep tissue, reflexology, swedish, sports, prenatal, with stretching included. I live in the Los Angeles area and will drive to you. My dream is to travel the world where I can practice massage and learn new techniques. I am excited to be working with the Dr. Dot team and I look forward to meeting you. Hello my name is Kristin. I am a certified massage therapist and veteran nurse of 18 years. I graduated from the prestigious Institute of Psycho-Structural Balancing in Los Angeles, California. Receive the gift of healing touch through my relaxing and transformative style of massage. I draw from my knowledge of many bodywork modalities including circulatory, deep tissue, sensory repatterning, polarity, reiki, cranial-sacral and pre-natal to deliver a custom tailored treatment for each individual. Through our work together you will begin to restore health on all levels while imparting a deeper sense of connectedness and well being. My intuitive and nurturing strokes will melt contracted muscles, allowing you to feel more spacious, unified and relaxed. I am a proponent of massage for relieving physical as well as emotional stress and strongly believe in massage as a viable modality for enhancing overall health and well-being. My style of massage is not only heaven for sore and contracted muscles but it plays an essential role in the process of self healing & empowerment. 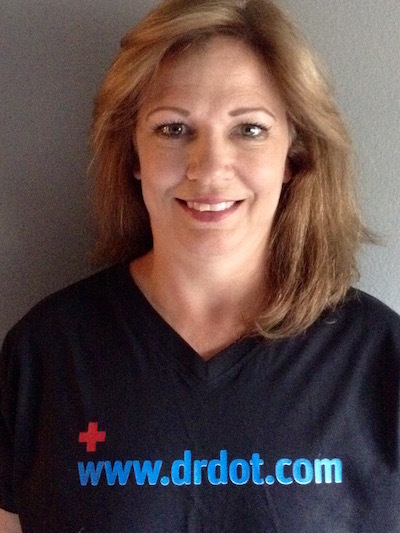 Louisiana Licensed Massage Therapist and a member of the NCBTMB. I’ve been practicing for 9 years. I currently own and operate a studio where I have built a wonderful dedicated clientele. My massage technique includes both Swedish and deep tissue, resulting in a nice firm massage that provides each client with their preferred pressure. Providing relaxation as well as pain relief through massage therapy. I will leave you feeling like you definitely received a quality massage. I completed the Massage Therapy program at DCC and began my career with onsite massage serving the hotels in the city through concierge. Back Stage, Home, Office, Corporate and hotel guest. Zach, is a California and nationally licensed Chinese medicine practitioner and massage therapist. He uses a modern approach to traditional medicine by combining the wisdom of ancient Chinese traditions with the research of modern science. He has experience treating a wide range of conditions from physical rehabilitation to stress and anxiety. 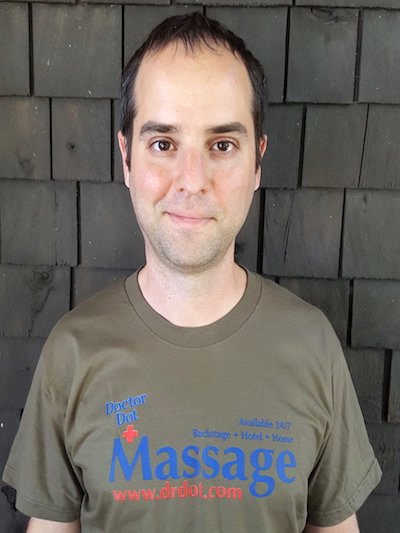 Working with a diverse group of clientèle from medical clinics to spas allows him to adapt his acupuncture and massage style to the client’s needs. He is a music lover, guitarist, and vocalist who understands the strains musicians and crews experience on the road. He loves to work with these clients to help them continue to perform at the highest level.